Which type of window should I choose? Nothing we buy comes without the need for some maintenance, but as technology improves the need for maintenance and amount of maintenance required is reducing. Modern paints and techniques are extending the life of products well beyond 25 years. The two main timbers that we use in the production of our hardwood products are Sapele and Idigbo. These timbers are now sustainably produced, readily available in sufficient size and quantity, fully durable and excellent in service and the retaining of a coating finish. Stability of timber products used to be an issue so we now employ engineering and laminating techniques to cancel out natural stresses deep within the timber structure. All products now leave the modern workshops pre finished with multi layers of high technology breathable coatings, the equivalent to six brush coats. High quality glazing and ironmongery compliment technology and traditional looks to give you a product that is one of the best on the market. Our unique system has been developed over the last 25 years and is the envy of many of our competitors. 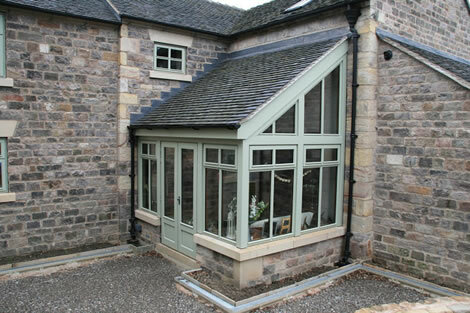 We manufacture all of our timber products and also supply to many other installers. Many people think that uPVC windows are maintenance free, however if you look carefully at many that are 5 years old they will have embedded grime and tiny scratches on them. With hardwood this surface could be refreshed quickly and relatively cheaply or even have the colour change completely.